Electro-Harmonix Octavix effects pedal is a great unit in fantastic condition. This effects pedal has been well looked after and shows only minor signs of wear from previous use. The pedal is a great addition for those who want unique and amazing sound. Includes a power supply, manuals and the original packaging. 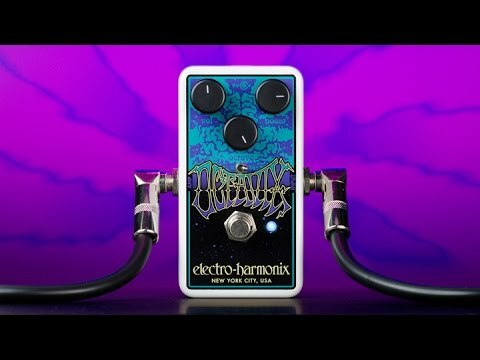 You can't argue that octave and fuzz effects don't go hand in hand, and you get both in the electro-harmonix Octavix fuzz/octave pedal. Whether your guitar has single-coil or humbucking pickups, you can coax a wide range of vintage fuzz effects from the Octavix. Guitarists at Sweetwater especially dig the switchable 9V/24V operation - at 9V the Octavix sounds like a vintage fuzz unit, while 24V operation serves up a tighter sound with a fatter octave effect. 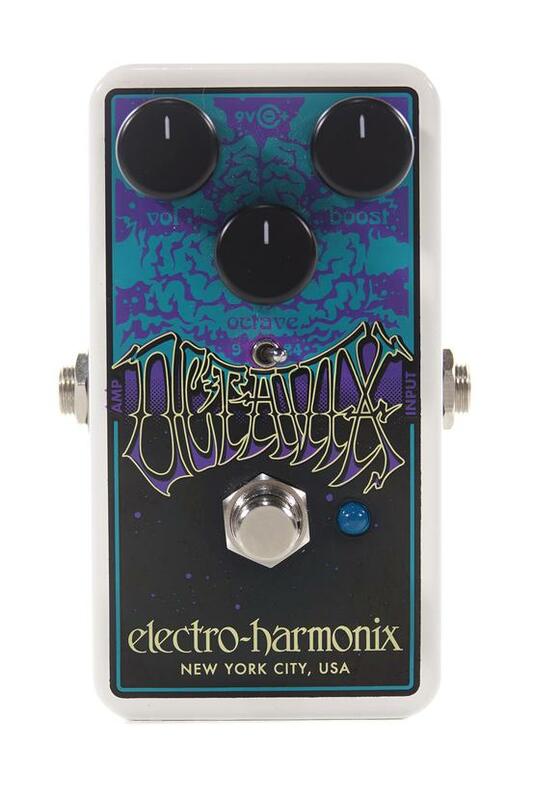 Once you plug in and turn up, it's hard not to sound like a rock icon with the ehx Octavix pedal.